ShuttleCloud is a leading provider of Google Apps Migration solutions, and there are many features of using Google Apps in your organization. Below are the Google Apps Migration features and limitations when choosing ShuttleCloud as your migration partner. ShuttleCloud copies your email messages and attachments to your destination account and preserves folders/labels as well as read/unread status and stars. Advanced email settings including Forwarding, Fetching, Custom Signatures and Send As are available only in the Enterprise migration plan. Please note that the transfer process does not retain multi-colored stars – all stars transferred will be yellow. Please note that email filters are not able to be migrated but we advise users to export and import (see here). ShuttleCloud transfers individual contacts as well as groups. Shared domain wide contacts are not migrated. ShuttleCloud migrates your documents and maintains their sharing settings. During the process the documents a user on the source domain owns are migrated to the destination account and then shared with the users that were shared on the old documents. As part of this we replace the old shared recipients with their new accounts on the new domain. 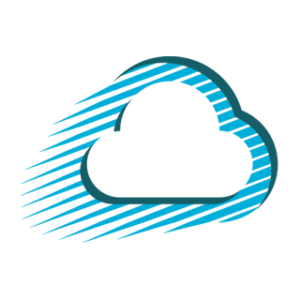 ShuttleCloud only migrates documents owned by users on the source domain. Revision history is not currently maintained during the migration. Additionally, Google drawings are not migrated in their native format, but instead as fixed PDFs. Some formatting is occasionally lost for some cells in complex spreadsheets. Some collection structure for shared collections may be lost and items previously made invisible in “Home” will be shown in the Home in the destination account. ShuttleCloud transfers your Google calendars between domains and maintains sharing settings for your users. The events that a user created on his or her primary calendar on his/her old domain account are migrated to the primary calendar on the destination account. Secondary calendars on the source accounts are migrated as new secondary calendars on the destination account. Shared invitees and attendees are maintained for the events transferred. Calendars from outside the domain are not shared with the destination accounts. Source calendars are not migrated and calendar subscriptions may not be retained. Calendar Resources – we are unable to migrate the calendar resources and the events tied to those resources. Calendar delegate settings do not transfer. Events created by calendar delegates, so long as we migrate that user, are migrated. ShuttleCloud can migrate Google sites, with sharing settings, upon request during a full domain migration. Note: please double-check to make sure that all Sites that you would like migrated from the source domain are owned by a user that we are migrating to the destination domain. Links to [Old.com] documents – Links to documents on the old domain will remain and will not be updated with the new domain links. Users can manually change the document references to documents on the new domain after the migration project is complete. ShuttleCloud can also migrate Google chat logs during a full migration upon request. Users will need to make sure that chat are viewable in IMAP (see here). The chats are migrated to a new “Archived Chats” label if the user has made chats visible in IMAP, as per the documentation. Regarding chats, there is no additional cost but there is a setting that must be enabled in each account for chats. ShuttleCloud can also migrate Groups during a full migration request. ShuttleCloud will set up the Groups with Members and Settings. Please note: Our clients typically review the Groups Settings post-migration and update as required. Reviewing the Groups Settings periodically is a best practice to ensure that the Settings are exactly what the admin requires for the new domain’s Groups. Although we are unable to maintain the threaded messages in the Group Archive view, recipients of Groups messages will retain those copies in their email mailboxes. Also note: If you’re using Groups with the subscription turned off the messages will not be available in each user’s mailbox. ShuttleCloud can also migrate Groups during a full migration request. ShuttleCloud will set up the groups with Members and Groups for Business Advanced Settings. Although we are unable to maintain the threaded messages in the Group Archive view, recipients of group messages will retain those copies in their email mailboxes. Also note: If you’re using Groups with the subscription turned off the messages will not be available in each user’s mailbox. ← How long does an email migration take?